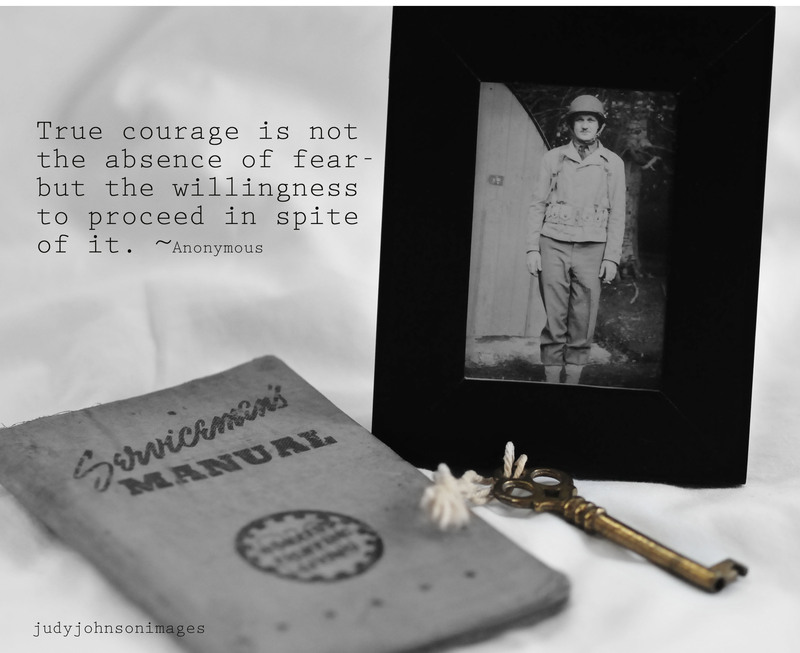 This entry was tagged B&W gradient map layer, Black and White, courage, father-in-law, Kim Klassen, paint brush tool, photo, PSE 11, quote, serviceman's manual, touch of color, WWll. Nice composition Judy. I love the “aged” feel and the “colour popped” key. Thanks for your comment, Jim! I liked doing that lesson too! I really like your descriptions of the processings you apply to your photos because it gives me new ideas and I also learn new things, like with this photo. I never would have thought to bring back some colours in a black and white photo, I don’t know why ? Lack of imagination I suppose ! I love how it looks, it’s such a great idea ! I have absolutely no idea how to make brush stamps, I would love to know ! I never took classes, only tutorials here and there, but I am tempted to try Kim’s classes ! Hi Jocelyne….Thank you! It was one of the easier lessons! (bringing color back) And, also, making brush stamps was easy too! I want to make more of them. From now on, the quotes I especially like will be on brush stamps. Thanks for your sweet comments!